Home » Solutions » How to Install Portable Combustible Gas Detector? The flammable gas detector also refers to the gas leakage detection and alarm instrument. 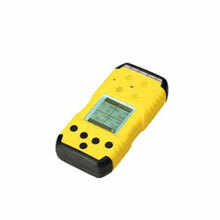 When there's flammable or toxic gas leakage in the industrial environment, the flammable gas detector will give an alarm signal to remind workers to take safety measures as the gas alarm detects that the gas concentration reaches the critical point set by the explosion or poisoning alarm. The gas alarm works like an automatic fire extinguisher, which can drive the ventilation, cut-off and sprinkler systems to prevent explosion, fire and poisoning accidents, thus ensuring safety in production. The flammable gas alarm can measure the concentration of various gases, and it's generally used the occasions where gas leakage occur, such as the chemical plants, petroleum, gas stations, steel plants. Firstly, identify the device to be monitored, where may be a leakage point or gas leakage, such as the pipe connections, then analyze the leakage pressure, direction and other factors. The flammable gas detector judges the leakage direction of flammable gas when a large amount of leakage occurs according to the specific factors such as the direction of air flow and wind direction in the place where the flammable gas is located. Determine the positions downstream the leakage points according to the density (greater or less than air) of the leaked gas and the trend of air flow. 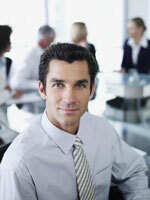 Study the leakage state at the leakage point, a slight leakage or spurting. If it's a slight leakage, the position shall be closer to the leakage point. If it's spurting, the position shall be a little further from the leakage point. Installation height of the open-air detector can be selected according to the density of measured gas, it shall be noted that the detector should be installed on the downwind side. After the detector is installed, it is necessary to install air permeable waterproof cover and dust cover to prevent dust and rain from entering to damage the installation of the detector controller. There should be no strong electromagnetic field around the alarm controller which has an effect on the instrument operation (such as high-power motor and transformer). The alarm controller is a safety instrument with sound and light display functions. It should be installed in the places where workers can easily see and hear, so as to eliminate hidden dangers in time. The alarm controller should be installed at a height of 160-170cm, so as to facilitate daily maintenance.